If you’re looking to save money on a new vehicle, the rotating Acura specials at Walker Acura can help you find a new RDX or ILX for a price that won’t over-stretch your budget. If you have any questions about our exclusive offers or new vehicle inventory, contact our team or make the trip from Covington to our dealership. 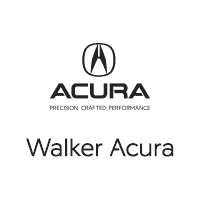 After you’ve taken a look at our new vehicle specials and Acura lease deals online, schedule time to visit Walker Acura in Metairie for a test drive. Our team is ready to walk you through the car-buying process and find the new Acura that’s perfect for you. Additionally, you can apply for financing or estimate your monthly payments online before you visit our showroom to simplify the process even more.